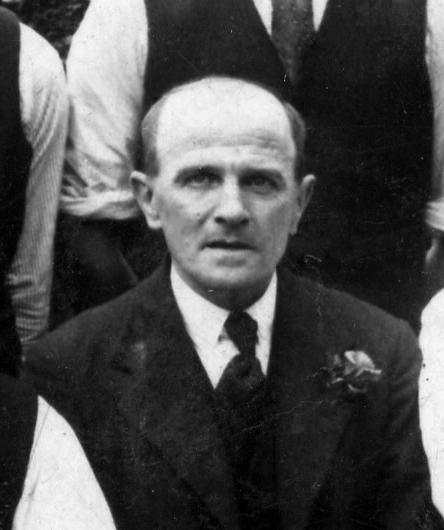 A photograph of Jack Asher, c.1930 or later, as one of the Bottesford Ex-servicemen's Club skittles team, outside the club hut on Albert Street (now the Scout Hut). Jack Asher is one of the men on the Bottesford Absentee Voters List, 1918/19. Jack Asher was born in 1889, in Muston. Though known as Jack, he was christened John. His parents were John and Sarah Asher. John Asher senior was born in Bottesford, in 1855. His wife Sarah was born in Muston in 1865. John senior’s brother James Asher also lived in Bottesford. His son Albert Asher, Jack’s cousin, served with the Leicestershires during WW1, and sadly was one of the last to die in the fighting from among the Bottesford men. He was killed in action on 24th September, 1918, at Portruet, on the Somme in France. In 1901, John and Sarah Asher were living at house no.3, Station Road, near to the station, and John Asher senior was working as a railway plate-layer. His son John and daughter Catherine were both then at school. John Asher senior died in 1909. By 1911, Jack Asher, now aged 22, was living with an aunt and uncle at Meltham, Huddersfield. He was working as a junior clerk in a railway goods warehouse. In January, 1915, aged 26, he married Florrie Palmer, who had previously lived with her parents at Beckinthorpe Farm, Bottesford. Jack Asher was awarded the British War Medal and the Victory Medal. He served as an Ordinary Seaman and his Service Numbers were B/2/6117 and 32/6112. On the Bottesford List of Absentee Voters, John (Jack) Asher was recorded as living at Station Road. The List includes the following Service Information: O.S., B/Z/6117, H.M.S. Attentive, R.N.V.R. 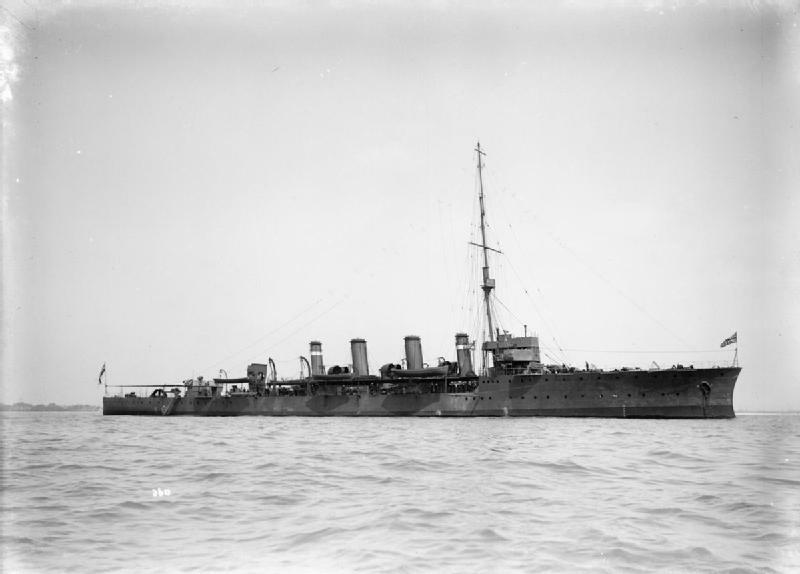 (Royal Naval Volunteer Reserve); Also O.S.32/6112, H.M.S. Ganges. His entry on the Naval Seamen Medal Roll was BZ/6112. H.M.S. Ganges was a Royal Navy Shore Establishment located at Shotley, near Southampton, from 1905 to 1976. H.M.S. Attentive was an Adventure-Class scout cruiser, launched in 1904 (information from Wikipedia). At the start of WW1 she was part of the Dover Patrol. On 7 September, 1915, she became an early victim of air power. While supporting the bombardment of Ostend, Attentive was bombed, suffering two killed and seven wounded. The air attack forced the squadron to briefly disperse, before returning to carry out the bombardment. She also took part in the ‘Zeebrugge Raid’, on 25th April, 1918, before escorting convoys to Gibraltar. She spent a few months off Murmansk, North Russia, supporting British forces in the Russian Civil War. However, it is not known as yet when Jack Asher was on board or what part he took in any of these actions. The Electoral Roll of Spring, 1923, has Jack (John) and Florrie (Florence) Asher living on Station Road, Bottesford; they were still living on Station Road in 1927. Jack Asher was the secretary for the British Legion Club in Bottesford, according to Kelly’s Directory, in 1928. He died in December, 1946, in the Melton Mowbray area (most probably at Bottesford), aged 57.